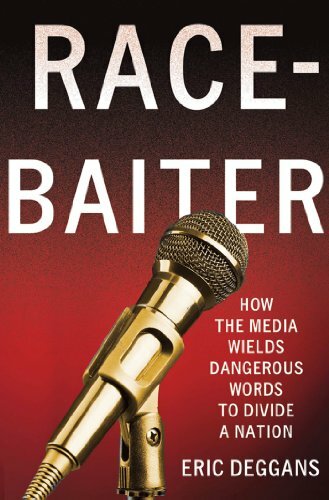 Order Race-Baiter: How the Media Wields Dangerous Words to Divide a Nation by Eric Deggans from Amazon.com by clicking on the book cover above! Order Tasteland by Aaron Barnhart, available as an e-book from Amazon.com by clicking on the book cover above! One of those people, back in 1994, was me – Mr. Media. I started doing this as a syndicated weekly newspaper feature and web site back when newspaper editors didn’t know URLs from their – oh, never mind that. One of the first compadres I encountered was Aaron Barnhart, who was writing something called “Late Show News,” which followed David Letterman, Jay Leno and a few other guys whose names are better left unsaid. After five years, Aaron— the TV critic for the Kansas City Star —broadened his scope to all TV and changed the name of his web operation to TV Barn. He’s been at it ever since and is concerned a dean among his counterpart. Eric Deggans hasn’t been a TV critic quite as long but he joined the St. Petersburg Times in 1995 and has spent 11 years covering TV and media. He’s also covered music and served on the paper’s editorial board. And he, like Aaron, runs a popular TV and media blog. His is called The Feed. I’ve asked these guys–both of whom I considered old friends—to join us tonight to talk about the upcoming TV season and the future of technology on TV.